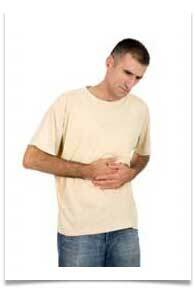 Indigestion, also known as dyspepsia, is a condition where a person had trouble digesting the food they have eaten. The problem is very common and can be caused by many things. Indigestion is often caused by gastro oesophageal reflux disease, gastritis or a peptic ulcer. Rarely is it caused by stomach cancer. Patients over the age of 55 who have a sudden onset of indigestion when they have not had it before should be tested for stomach cancer. There are also many medicines that cause indigestion. High blood pressure medications, corticosteroids and non steroidal anti-inflammatory drugs can all be responsible for indigestion. Stress and emotions can also cause a flare up of indigestion and eating fatty or spicy foods can cause the problem too. The symptoms of indigestion are abdominal pain, bloating, fullness and tenderness in the upper abdominal area. The pain can also become worse with exertion. Severe indigestion symptoms include nausea, vomiting, bleeding, loss of appetite and unintentional weight loss. If you are experiencing any of the severe symptoms it is best to see your doctor right away. Lifestyle changes are important if you want to get rid of your indigestion without using medicines. Natural relief can come from dietary changes. Avoid greasy, fatty, salty and very spicy foods. Fast food is really unhealthy and it can give you a bad case of indigestion. This is because it is full of grease, salt and chemicals. 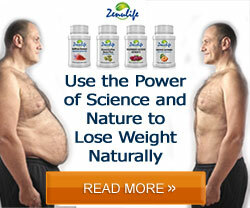 It is best to eat a diet of whole, natural foods. The less plastic and Styrofoam in the packaging the better and you should eat foods that you can identify where they came from. You know where a potato comes from, but can you name every ingredient in a French fry? Yogurt and an acidophilus formulation supplement can aid digestion and help cut down on the amount of acid your stomach produces. What you drink is just as important as what you eat. Coffee can upset the stomach and soda is full of acid. Orange juice is a very healthy beverage, but it can aggravate indigestion due to the acid content. You need to eat smaller meal because a huge meal is harder for your stomach to digest. Make sure that you are chewing your food thoroughly. The digestion process begins in the mouth. Your teeth and saliva begin breaking down your food so that your stomach has an easier time with digestion. Not chewing your food enough puts more strain on your stomach. 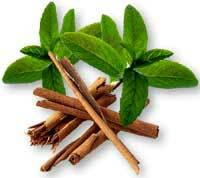 Taking peppermint or drinking peppermint tea will aid your digestive processes. Bananas will help eliminate indigestion and so will anise, basil, cinnamon, dill and sage. Many of these herbs are bitters that are like a tonic for your digestive tract. You can also try lemon balm, rosemary, turmeric and thyme to find natural relief for your indigestion. 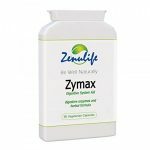 Say Bye Bye to Indigestion Symptoms..
Zymax digestive enzymes and detox formula helps replenish your digestive system to boost absorption of foods and nutrients and aid digestion..